Choose from our wonderful selection of fresh flowers many of them British Grown. Roses for a Romance, Anniversary Or a mixed summer selection for a Birthday, Get well , Congratulations or Leaving Present. We have a wide variety of flowers and designs specially created for all occasions. Only florist in Blackpool open 7 days a week. More sensitive tributes for sympathy & funeral are also available. Why not visit out facebook page to find out about our special offers & weddings Visit us on facebook! 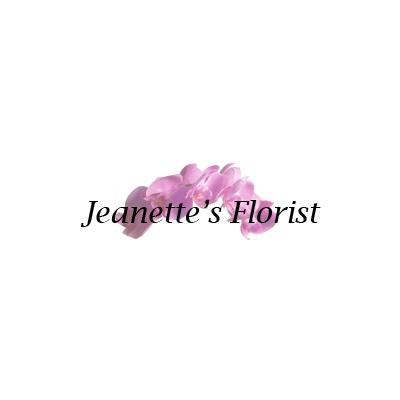 Jeanette's Florist, 33-35 Highfield Road, South Shore, Blackpool, FY4 2JD, Jeanette's Florist has been trading in Blackpool for over 40 years and has an established reputation throughout the Blackpool and Fylde coast area. We are also past winners of the Southport flower show. We are a family run business with loyal staff that is fully qualified and always happy to help. We have a very large selection of traditional and exotic flowers that can all be designed in arrangements or bouquets of your choice or left to our specialised floral designers. To give that extra special wow we also can supply champagne, wine, teddies, balloons and chocolates with your flowers. Corporate consultations and contracts are available as are appointments to see our specialist wedding consultant. We are open Monday - Saturday 8.30am - 5.30pm. Sundays 9.30am - 2pm.